This course provides the underlying knowledge required by all individuals who will be evaluating Microsoft Azure, whether they are administrators, developers, or database administrators. This course will introduce students to the principles of cloud computing. 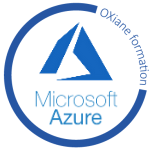 Students will become familiar with how these principles have been implemented in Microsoft Azure. In addition, this course will explain how to implement the core Azure infrastructure, consisting of virtual networks and storage. With this foundation, students will learn how to create the most common Azure services, including Azure Virtual Machines, Web Apps, and Azure SQL Database. The course will conclude by describing features of Azure AD and methods of integrating it with on-premises Active Directory. This module explains how to create and implement Azure networks and how to use their components to enhance the resiliency and availability of virtualmachines.